On March 20th at 5:36am (ET) we will be having a total Solar Eclipse in Pisces on the same day as the Equinox. It will be visible from Greenland, Iceland, most of Europe, and parts of Asia and Northern Africa. 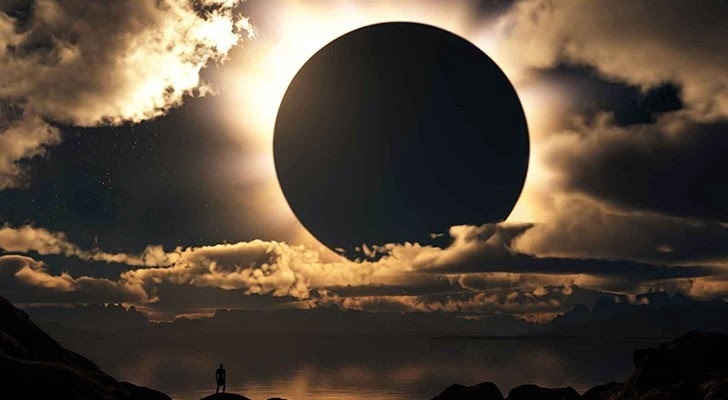 In astrology, solar eclipses create changes and new beginnings in our lives. It is a super-charged New Moon whose effects are more impactful and last beyond the month of its moon cycle. The effects are usually noticed or felt more in the weeks leading up to it, on the day of, and in the weeks following. However, the themes of the eclipse are still very much prevalent for the following 6 (or more) months. We usually have 2 of them per year but can have up to 3 in some years. Depending on your specific day and time of birth, the eclipses influence different areas of your life unique to you. They also affect us as a collective and sometimes correlate with major global events. For example, around the time of our last Solar Eclipse in late October, there were terrorist attacks (potentially false flag) in Ottawa, Canada. The astrological position of that eclipse shows that it had an effect on Canada’s Constitution andCharter of Rights and Freedoms. So now in the months following, the Canadian government has introduced a new anti-terror bill (Bill C-51), which is seen as an abolishment of the Charter, as it violates many of the rights and freedoms listed therein. This Solar Eclipse is 13 Hours Before the Spring Equinox! The spring Equinox is not only the beginning of spring, but also where the astrological tropical zodiac ends and begins, transitioning from Pisces to Aries. The exact time of the Equinox is at 6:45pm (ET), which is roughly 13 hours after the Solar Eclipse. This is very interesting because Solar Eclipses and Equinoxes are associated with ‘new beginnings,’ yet the actual moment of the Eclipse happens at the tail end of the entire Zodiac in late Pisces. This is associated with ‘permanent endings’ and ‘crisis.’ So we can expect these themes to affect us in a powerful way not only in this upcoming month, but throughout much of 2015 as well. For some people it can also be viewed as a new beginning for certain things they have been trying to end, or just simply need to end, resulting in a permanent ending. Metaphorically, this eclipse is like turning the water valve on a pressure washer… which will wash away whatever it needs to… over the next 6 months! On March 11th, 2011, Uranus (the planet of surprises and sudden disasters) was in its last hours in Pisces when the Earthquake-Tsunami happened in the Pacific Ocean which hit Fukushima. In Astrology the oceans are associated with Pisces. The unfortunate aftermath of Fukushima has led to global outrage and has inspired some of humanity to push towards seeking more sustainable and clean energy practices. This Solar Eclipse is near the same position where Uranus was at that time, and it is possible that we could again see the occurrence of critical events or circumstances related to the oceans, or perhaps even related to Fukushima. Whether or not it does manifest in that way, ultimately the theme here is about circumstances that help to push us towards a new reality. In my last Full Moonarticle, I mentioned that the last 2.5 years have been a time of ‘pressure for change.’ Global protests, uprisings, increased activism, political reforms, countries going bankrupt, and the growth of new currencies are some of the themes reflecting this time of upheaval, and we can attribute this trend to the tension between Uranus and Pluto right now, due to their astrological positions. Earlier in the same week as this eclipse, these two planets made their final ‘square off’ which will carry their themes into this upcoming 6 month period. The difference between now and the last 2.5 years is that there is greater potential for significant changes. As mentioned above, this is a time for great change, but ultimately this is an opportunity to wash away negative aspects of yourself which do not reflect who you truly are. It can be a time to escape from a self-imposed prison, which could consist of negative patterns, habits, addictions, lifestyle, etc. Saturn and Jupiter in relation to this eclipse suggest finding and connecting with your inner truth and eventually unleashing it. This theme can apply to different areas of everyone’s lives. This eclipse will affect some people more strongly than others and it can apply to different areas of everyone’s lives depending on how it influences one’s natal chart. To get a complete personalized reading with astrologer Carmen Di Luccio, visit his website here.